Slog AM: King County Murders on the Rise, Trump Has Branding Advice for Boeing, Happy Tax Day! King County homicides on the rise: Murders have been on the rise in the city for the last three years, according to the Seattle Times’s review of official documents. There were 78 homicides last year, which is up from 74 in 2017 and 66 in 2016. Of the victims last year, 55 were shot and seven men were killed by police. Don’t you worry though, King County is still way below the national average homicide rate of 5.6 murders per 100,000 residents. Suspect in officer-involved shooting killed by police: Sorry to start Slog off with so much death. A Cowlitz County sheriff’s deputy was killed this weekend after a man opened fire. Twenty-four hours later, that suspect was shot by police and pronounced dead at the scene. The deputy was checking out a report of a mobile home blocking a road in Kalama when the suspect shot him. Trump has some unsolicited advice for Boeing: He thinks they need to fix the planes then “REBRAND” them and start selling them again. You could tell Trump has a soft spot for lost profits with this quote, “No product has suffered like this one.” He’s not wrong; the Boeing 737 MAX 8s are radioactive at this point. Not literally, but they have become so synonymous with the two fatal crashes in Indonesia and Ethiopia that it may be hard to get airlines to buy them once the software patch is installed. NEW: Pres. Trump says Boeing should fix, then rebrand troubled 737 Max jets. It's Tax Day: You haven't done your taxes yet?! Yea, me neither. But we have until the end of the day today to get them done. I will unfortunately be turning to TurboTax again this year despite their powerful lobbyists spending untold amounts of money to block legislation that would simplify our tax return system. Automatic tax returns would basically negate their whole reason for existing, so they're lobbying hard against them. But I don't know any other way at the moment. Mark my words TurboTax, this will be my last year! We could break the rain record today! If it rains today, which I dearly hope it does, we will break the record for most consecutive April days with rain. Tiger Woods won the Masters: I cannot tell you how excited I am for this climax in the official Tiger Woods biopic that will be surely coming to theaters within the next few years. This was Woods’ first major championship win since 2008 and his first since the public drama unfolded around his divorce. He had to fight his way back, but ultimately won that coveted green jacket. Oh, and he won just over $2 million, too. This was a great weekend for entertainment: If you were lucky enough to go to Coachella, don’t tell me about it. I don’t even want to hear it. One good thing to come out of the festival was the long-awaited release of Donald Glover and Rihanna’s film Guava Island, which is available on Amazon streaming. I will be "borrowing" my sister's login. And last but not least, the first episode of the last season of Game of Thrones premiered last night and it was... a lot of sitting and talking. Don't get me wrong, I know they have to set up all the story lines but my goodness there was a lot of sitting and talking. Still overall great to watch, despite Bran lurking around castle black. 2019 already ranks as the second-highest measles cases in the U.S. in 25 years: For context, the year isn't even half over, it's barely even a quarter over. We're on track to have one of the highest measles caseloads we've seen in several decades. There have been 555 cases this year, the vast majority of which occurred in unvaccinated children. The trend is also worldwide, with countries like Ukraine, Madagascar, and India seeing very high rates of measles this year. Now listen here you $#!%: Last week we dove into Chicago musical history and while doing that Google kept giving me results for the history of the musical Chicago. So close Google, so close. But it did inspire this week's theme and that is motherfucking musicals. Yes, that's right. If you don't like them you should because they are delightful. I've been a closeted Les Misérables fan for about eight years and I've never actually seen the show in person. So today we're going to ease you in with a musical everyone can get behind: Hamilton. Tonight's best Seattle entertainment options include: Washington Ensemble Theatre's horror-comedy Feathers and Teeth, a memoir reading with former Obama-era White House staffer Valerie Jarrett, and Seattle Restaurant Week. 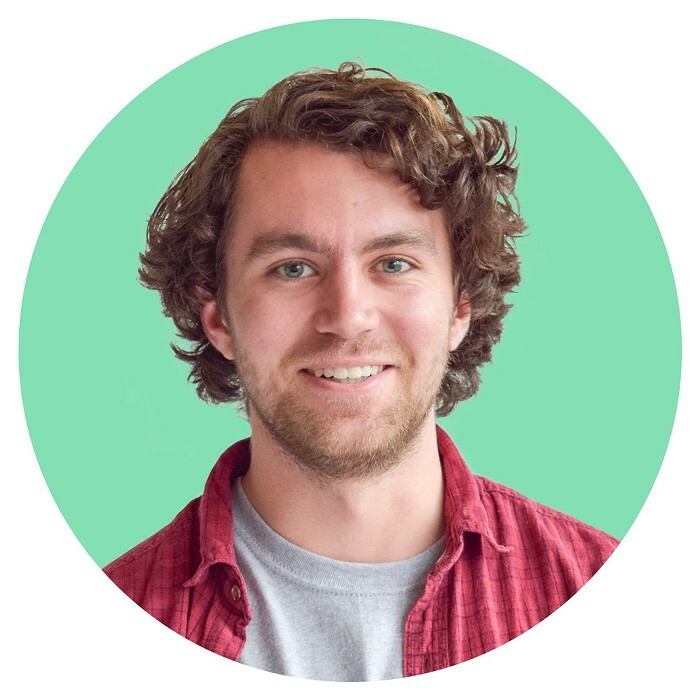 Timothy Kenney is the current Slog AM intern and will use his newfound power to force science news into your life. He's written for multiple Seattle outlets, helped CNN cover a mudslide in Sierra Leone, and almost threw up on James Franco once.